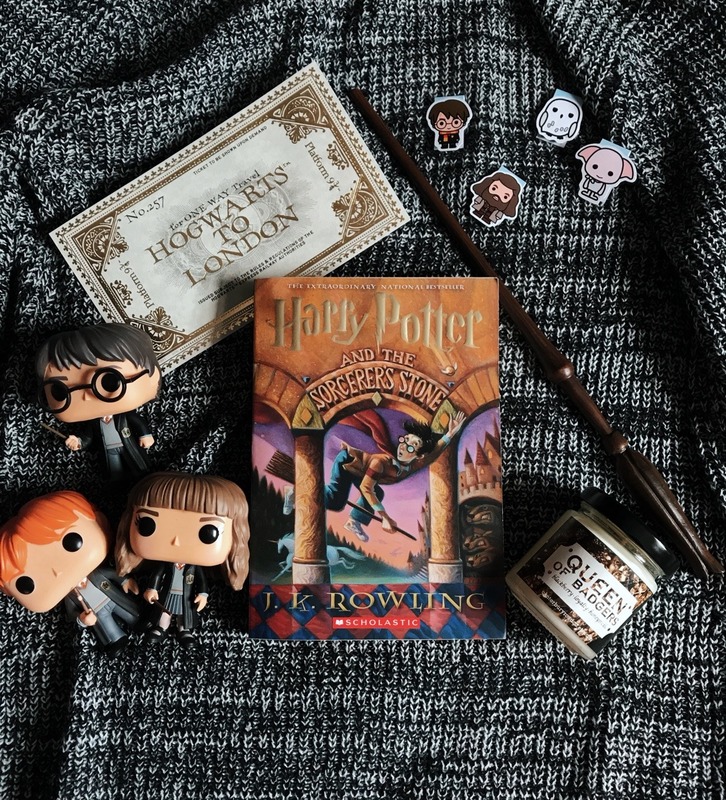 This year marks the 20th Anniversary of Harry Potter, and seeing as how today also happens to be Harry's birthday, I figured what better way to celebrate than by telling you all just what the Harry Potter series means to me. In short, everything. I know, I know, it sounds so cliche, but honestly, no book series (or anything, really) has affected me the way this series has. Harry Potter and the Sorcerer's Stone came out in September 1998 (in America, at least) which was two months before my 10th birthday, and for that birthday I remember my Grandma sending me a copy of it which came with a pair of cardboard glasses. I remember thinking how awesome it was that a character had the same kind of glasses as me (kids in wire rimmed glasses were never the coolest) and so I felt an instant connection with this shaggy black haired kid, and couldn't wait to dive into his story. Needless to say, I was hooked from the very first page. Growing up, I was always into fantasy, so a story about witches and wizards was right up my alley. This story in particular came out at the perfect time in my life; a time where I sort of needed to be immersed in a world that was completely different than mine. A world that would let a little 10 year old know that magic is real. Rowling's writing style was what first drew me in. Her imagery and the way she painted the scenes was fascinating to me, it really made you feel as if you were in the story running around Hogwarts. I could picture myself sitting in potions class or lounging in my house's common room. The fact that it was also a really great story was just a bonus. Aside from the plot, the characters are my favorite thing about these books. The friendships amongst not just Harry, Ron and Hermione, but Neville, Luna, Ginny, Dean, Seamus, all of them just feel so genuine and real. I felt like these were my friends. And I think everyone's family goals are the Weasley's. Molly Weasley is just like the most perfect book mom, and the way she takes Harry under her wing and embraces him into their family is so wonderful and makes me so happy. Besides the characters, I also think these books have really great morals to them that are totally relatable. They teach you it's ok to be afraid, while also showing you how to confront those things that make you afraid. They teach you that even though you may value and love your friends, sometimes you have silly arguments, but you'll always make it work in the end. And my favorite, that even if people may make fun of you for being different, that's what makes you special. As I got older, I became an even bigger HP fanatic. I went to every midnight release, whether it was for the books or movies. I bought so much HP merch and even got a huge golden snitch tattoo. I would talk anyone's ear off about the tiniest little details. I went to every HP exhibit that came around, from movie props to watching the first film with a live philharmonic orchestra playing the score. Oh, and Pottermore! I had always wonder what my house would be, and now I was finally able to actually be sorted (I'm a proud member of Hufflepuff), and even find out what my Patronus would be (a Tonkinese cat). This world quickly became my world. 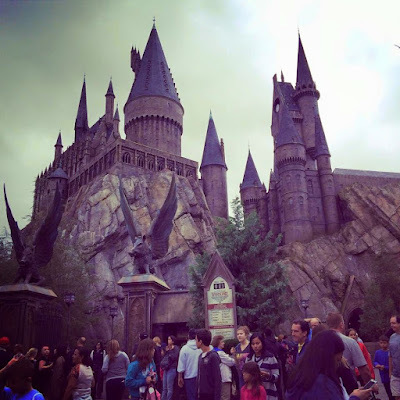 My peak HP moment was about 4 years ago, my Mom actually took me to Harry Potter World in Florida and it was so amazing being surrounded by these places I had spent most of my life reading about. These were places I'd only pictured in my head, and now they were right in front of me. 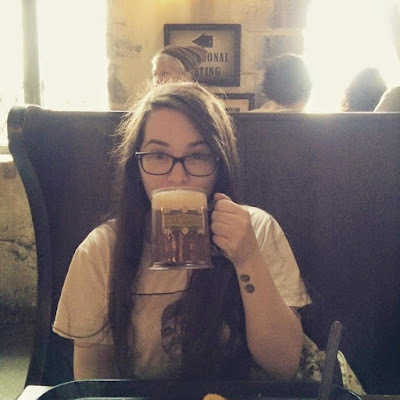 I ate at The Three Broomsticks and drank Butterbeer. 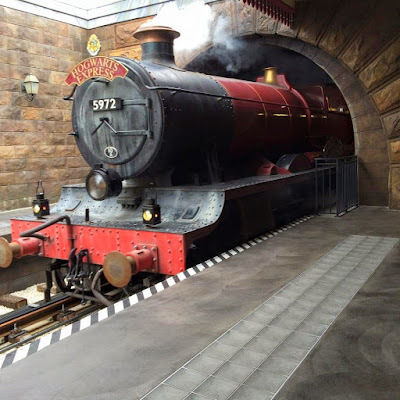 I played with all the prank pieces at Weasleys' Wizarding Wheezes. I stocked up on candy at Honeyduke's. I picked up a wand at Ollivander's. I even rode the Hogwarts Express. I also got to walk through Hogwarts and I held up the entire line because I was just holding on to the wall and crying. I was literally standing in the one place I had always hoped to visit, and it wasn't a dream-- it was all real. It turned out to be a Harry Potter celebration while we were there, and I even got to participate in a wand demonstration hosted by Luna Lovegood herself, Evanna Lynch. I was dying the entire time because Luna is my absolute favorite character. It was such a great trip and everything I could've hoped for. For 20 years, these stories have been with me. They've been my constant comfort whether I'm sick, happy, sad or what have you. Whether I'm cracking open one of the books, or turning on one of the movies, I'm instantly cozy. Every year, I re-read the books and each time I pick up on something that I didn't previously, and that's such a testament to how great the writing is. I truly believe that Harry Potter has something for everyone, and just like J.K. Rowling said, Hogwarts will always be there to welcome you home. Until the very end and always. Our friendship is on pause until you rectify that. Awesome tribute! It's hard to believe that Harry Potter is twenty years old and how much it's affected so many of us. It means everything to me too! That's so cool you got to take a wand lesson with Evanna! I actually met Katie Leung in Diagon Alley at the celebration. A Celebration of Harry Potter is one of the best experiences ever. Thanks, Katy! The entire Wizarding World in Orlando is such an amazing time, that's awesome you got to meet Katie as well!